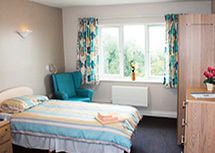 together with a desire to create a home from home "
What makes our care home exceed the standard set by other providers? At The Moreton Centre our primary focus is flexible care, communication, engagement in activities and enhancing the quality of life for our residents. Quiet rooms and sensory areas help to address the needs of individual residents throughout the day, while regular outings to local areas of interest allow enjoyment of the wider environment. The Day Centre will provide opportunities for our own residents to engage in a wide variety of leisure activities and social events. A full occupational therapy programme has been developed that includes an engaging mix of crafts, cooking, gardening, quizzes, beauty, pool and other activities - all chosen by residents for their complete enjoyment. A hair salon and manicures are all available on site. The Day Centre also offers a more psychologically-based programme of sessions examining issues such as anger management, anxiety management and relapse prevention. Our commitment to offering the highest standards of specialist facilities and our desire to create a home-from-home atmosphere coupled with diverse social and treatment programmes is what sets St Matthews apart. 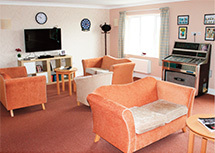 The Moreton Centre applies no visiting time guidelines - it is purely the choice of the individual resident and the visitor as to what time and how often they are visited. All of our residents are invited to furnish their own bedrooms for their complete comfort. Provide a safe and secure environment for people with challenging mental health problems and complex needs. Recognise our clients as individuals, and treat them with dignity and respect, providing a person-centred approach. Promote independence to our service users in meeting their individual care-plans. Support and assist service users in learning or re-learning skills to live independently where possible. To provide exemplar long stay and respite residential care service for older people with dementia and challenging behaviour. We aim to improve the well-being and quality of life that our residents experience throughout their stay.